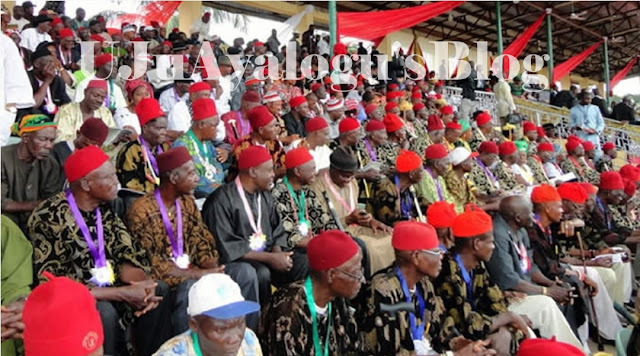 The apex socio-cultural organisation, Ohanaeze Ndigbo on Friday highlighted why Nigeria would burn. Ohanaeze warned that Nigeria would burn if hoodlums attacking Igbo in Lagos and other parts of the country do not desist from such act. Deputy National Publicity Secretary of Ohanaeze, Chuks Ibegbu alleged that hoodlums attacking Igbo in Lagos State and other parts of Nigeria were under the influence of godfathers. The statement reads: “Ohanaeze Ndigbo is hereby warning hoodlums and political touts to stop attacking Igbos in Lagos and other parts of the country. “This is no longer politics but ethnic cleansing and we warn it may lead to anarchy if not checked. “Hausa-Fulani voted for Buhari and Atiku, Yorubas voted for Buhari and Atiku, other nationalities did the same. Igbos voted for Buhari and Atiku too.